Marzipan isn't quite popular in Singapore, but it's a favourite snack for many Norwegians in the Easter and Christmas seasons. In fact, Norwegians love their marzipan so much that they even have marzipan cakes! Marzipan is basically de-skinned almond nuts mashed up with lots of white sugar and made into a creamy sticky substance that hardens with time. It's unhealthy but good marzipan is really yummy. 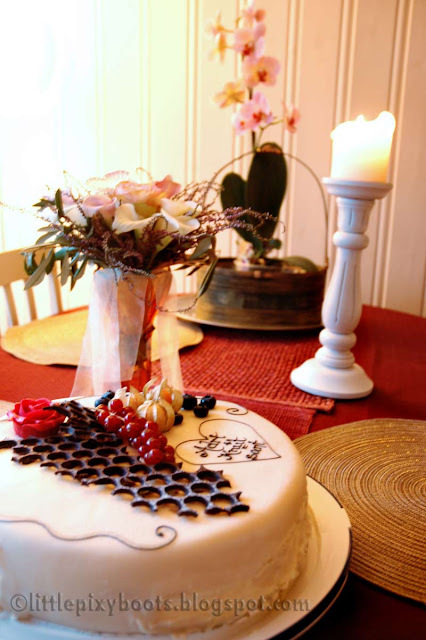 To be truly Norwegian, I decided to order a marzipan cake for my wedding, and my svigermor (mother-in-law) was placed in charge of ordering it. 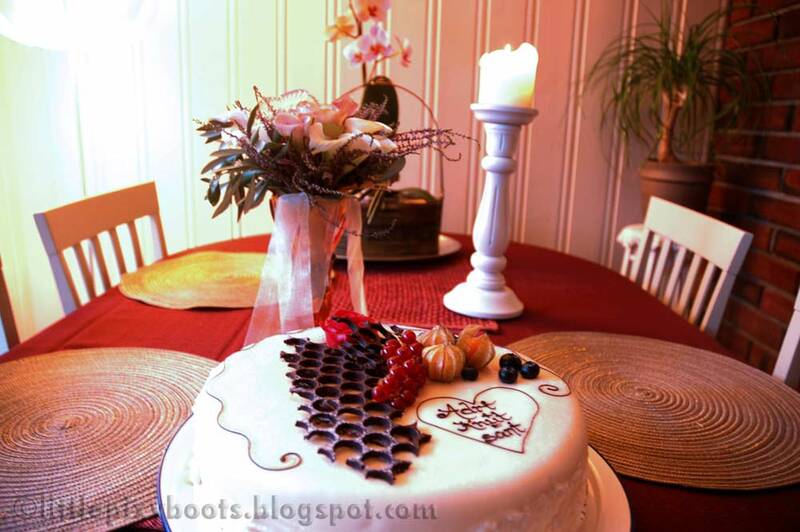 It was kept hidden in a big cake box in the fridge until I got back from Sandefjord where my wedding party was. I didn't peek, I really didn't! I think I'm facing an identity crisis. Anyway, it's white and quite heavy, with fresh berries inside, redcurrants and blueberries on the outside. Unfortunately, we ate it up before I remembered to take a picture of it. hehe. My svigermor thought of a very nice simple message. 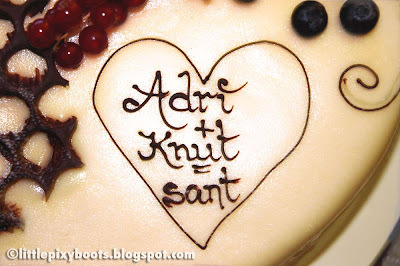 Rather than a typical "Happy Wedding" message, she chose to put our names in a heart with the word "sant" which means true/right in Norwegian. I never had one before, so this is keeee-uuwl, as my new Finnish co-worker might say. Have I mentioned that I started a part-time trainee graphic design position in an advertising firm recently? I did, and am enjoying myself tremendously. They feed me well there. Who says you can't get a free lunch in this world? Ok, gotta sign out now to go to bed. My wake-up call is klokka fem om morgen (which means 5am in the morning).